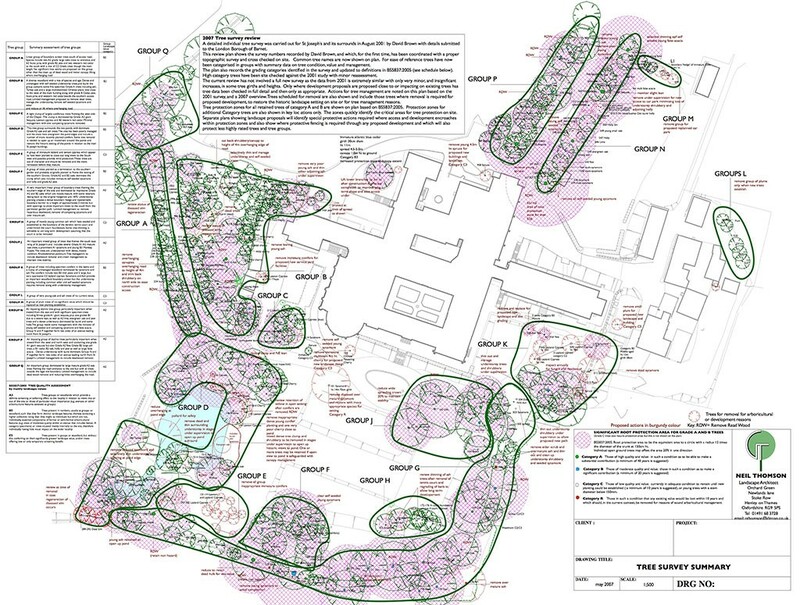 Prior to designing a site Neil Thomson carries out a landscape and visual analysis, where necessary a tree assessment to BS 5837, and advises on site protection measures during construction. 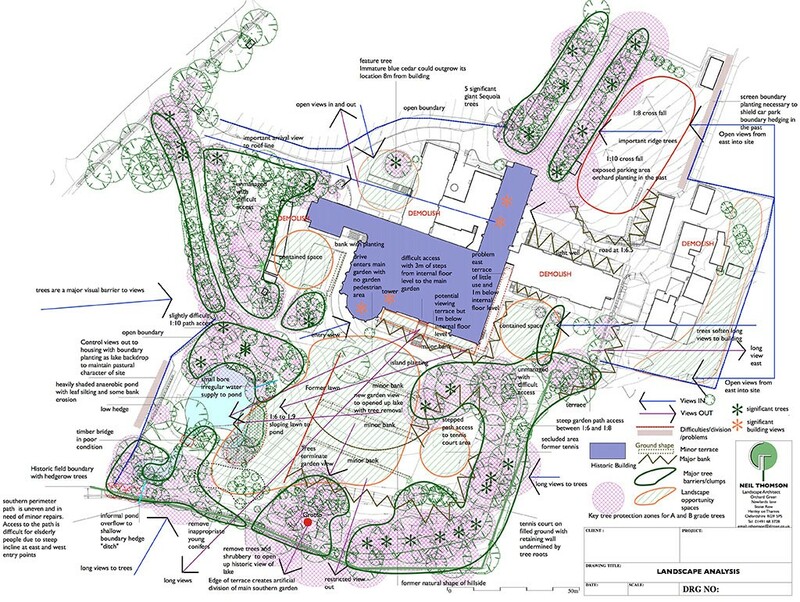 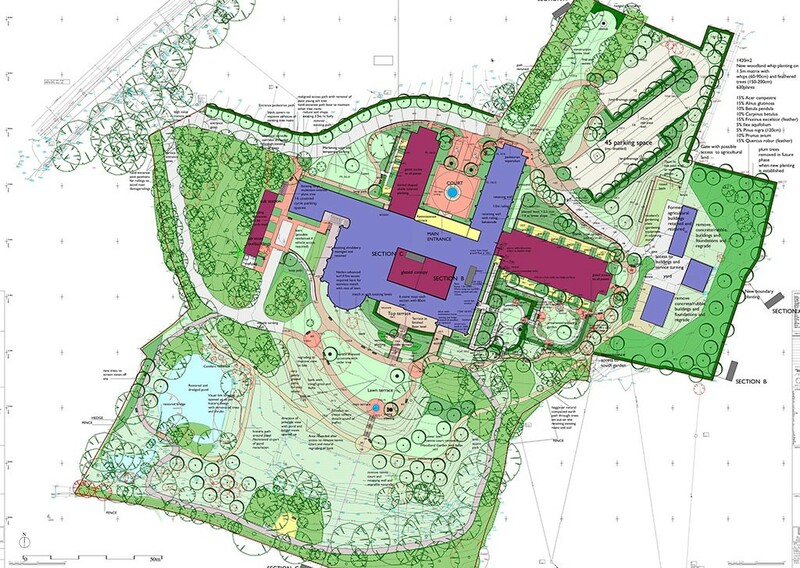 A successful masterplan always addresses both the unique opportunities that each site offers whilst respecting the client’s aspirations. 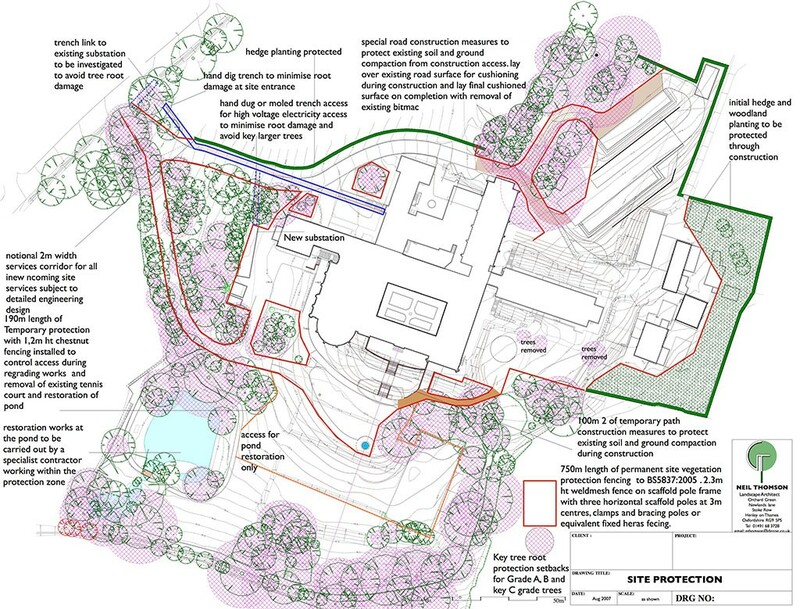 This provides the basis for successful planning submissions, where required, and sets the agenda for detailed design and cost planning. 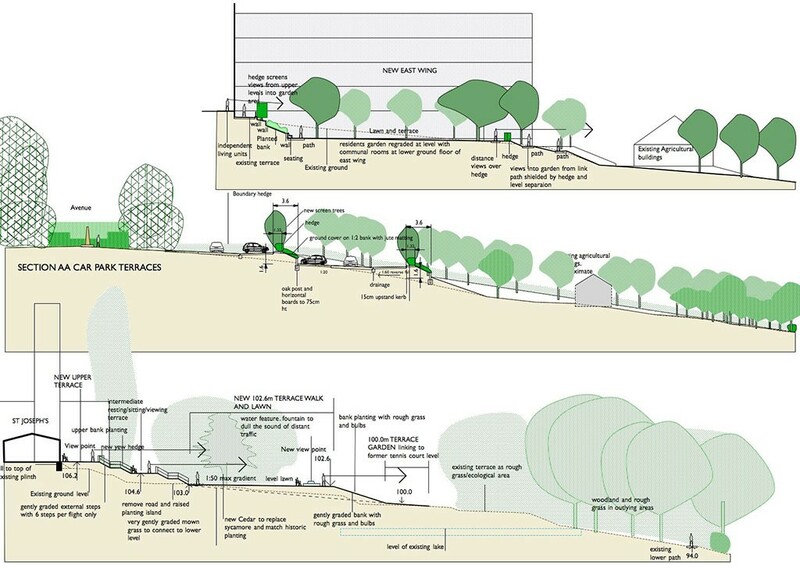 The illustrations below show a typical project approach through to planning submission design.